Lindsey Beer (Chaos Walking) and Geneva Robertson-Dworet (Captain Marvel) are set to write Sony’s Silver and Black film, according to THR. 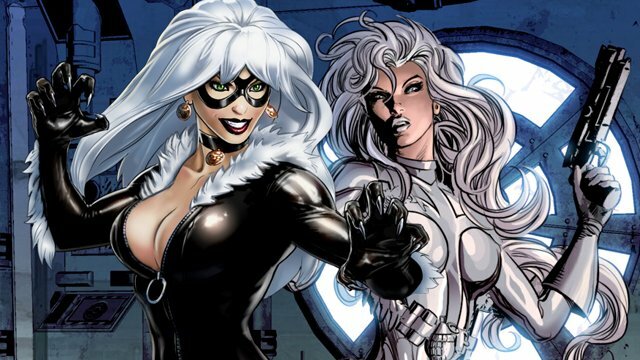 The Silver Sable and Black Cat-centric film is set to be directed by Gina Prince-Bythewood (Love and Basketball, The Secret Life of Bees), who also wrote the first draft of the script. Earlier drafts were written by Chris Yost (Thor: The Dark World, Thor: Ragnarok) and Lisa Joy-Nolan (Westworld). Matt Tolmach and Amy Pascal will produce Silver and Black. Black Cat, meanwhile, dates back to 1979’s The Amazing Spider-Man #149. Created by Marv Wolfman and Keith Pollard, Felicia Hardy is an expert burglar who has the ability to manipulate probabilities, effectively bringing bad luck to those around her. Also she was never explicitly referred to as such, Felicity Jones’ The Amazing Spider-Man 2 character was planned as an alternate version of Hardy. Silver and Black, along with the upcoming Venom film, featuring Tom Hardy as the title hero and Ruben Fleischer as director, will be in a separate universe from Spider-Man: Homecoming, which is contained in the Marvel Cinematic Universe. Beer has worked on films like Transformers, King vs Godzilla and the upcoming Chaos Walking, Quentin Tarantino’s Star Trek, and the Ology franchise for Paramount. Robertson-Dworet worked on the upcoming Captain Marvel and Tomb Raider. What do you guys think of Beer and Robertson-Dworet taking on script duties for Silver and Black? Let us know in the comments.